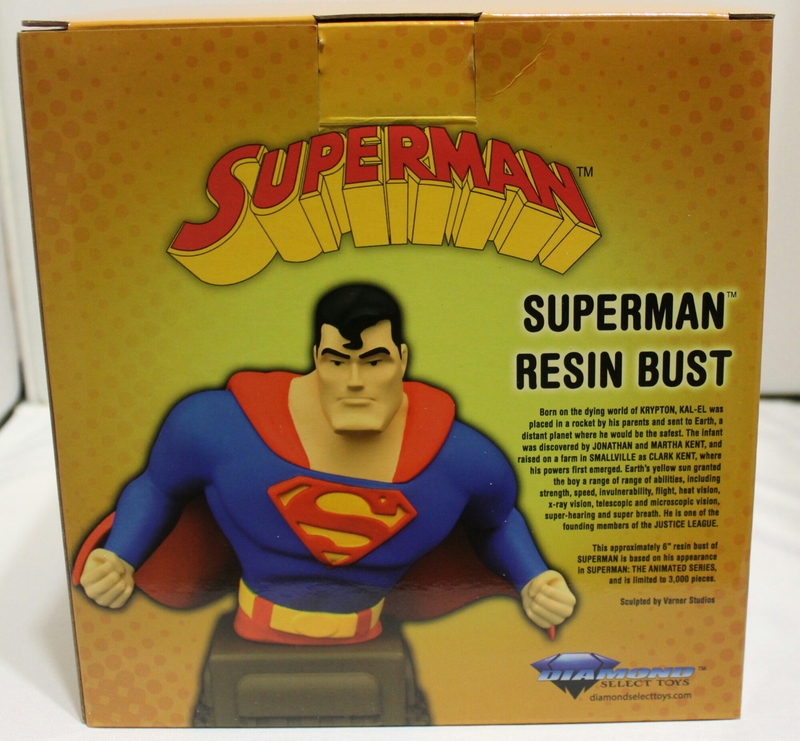 Diamond Select Toys Superman Resin Bust review. ​Diamond Select Toys is at it again with their DC animated collectibles line. This time it isn’t for The Dark Knight though. This time it’s for none other than the grandfather of all super heroes – The Man of Steel himself, Superman! 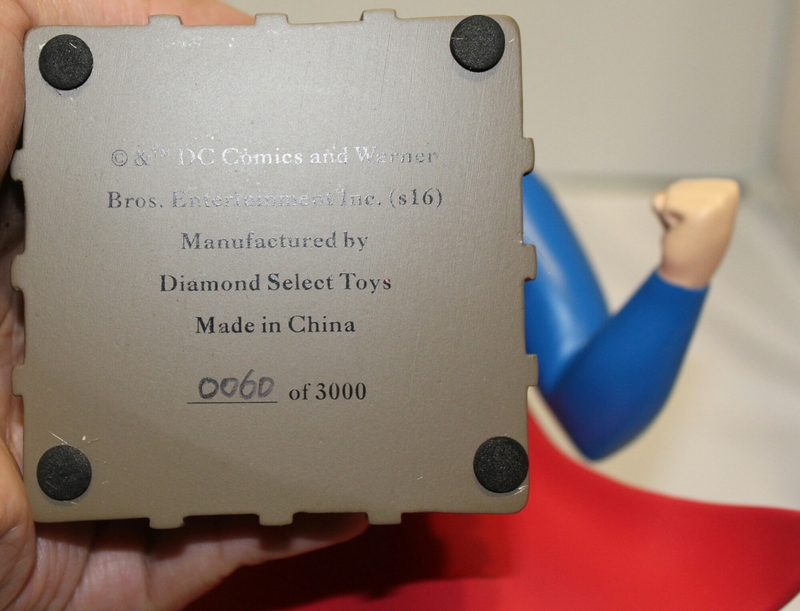 Diamond Select Toys excited fans and collectors when they revealed their plans for Warner Bros. popular DC animated series like “Batman” and “Justice League” during Toy Fair 2015. The one line noticeably absent, just like DC Collectibles, was products from “Superman: The Animated Series.” It was something that I took notice of immediately as I’m not only a fan of The Last Son of Krypton but also a big fan of “Superman: The Animated Series.” When it was finally revealed that we’d be getting collectibles based off of Bruce Timm’s successful follow up to “Batman: The Animated Series”, I was very happy. 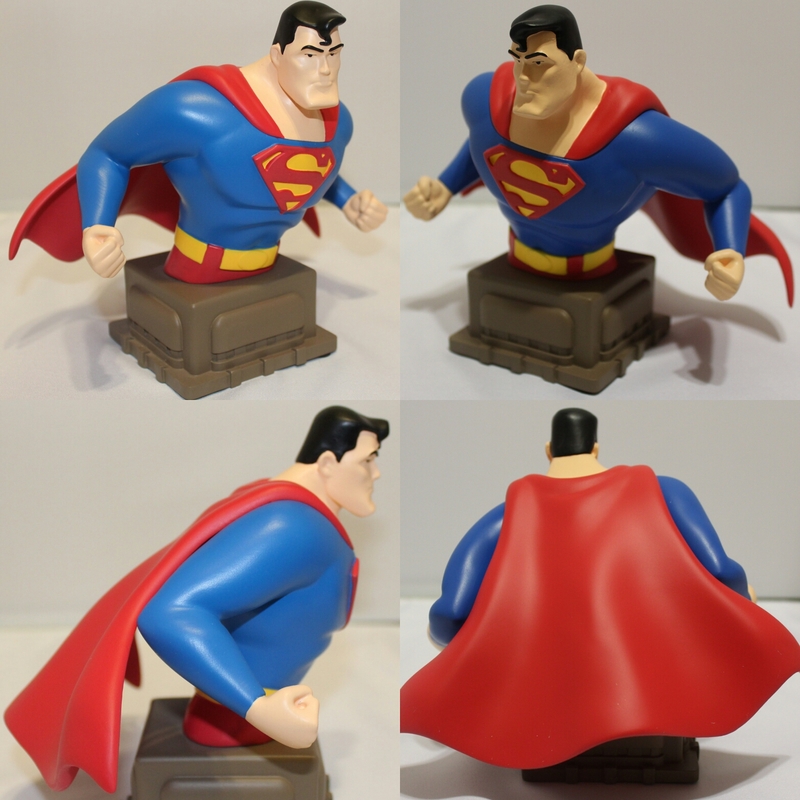 So far Diamond Select Toys (DST) have released four statues and busts based off of “Superman: The Animated Series.” We have two Femme Fatales vinyl statues of Supergirl, one resin bust of her, and now one of her cousin, Kal-El. Superman is undoubtedly the hero most collectors and fans have been waiting for since the release of Batman last summer 2015. Let me tell you, he was well worth the wait. 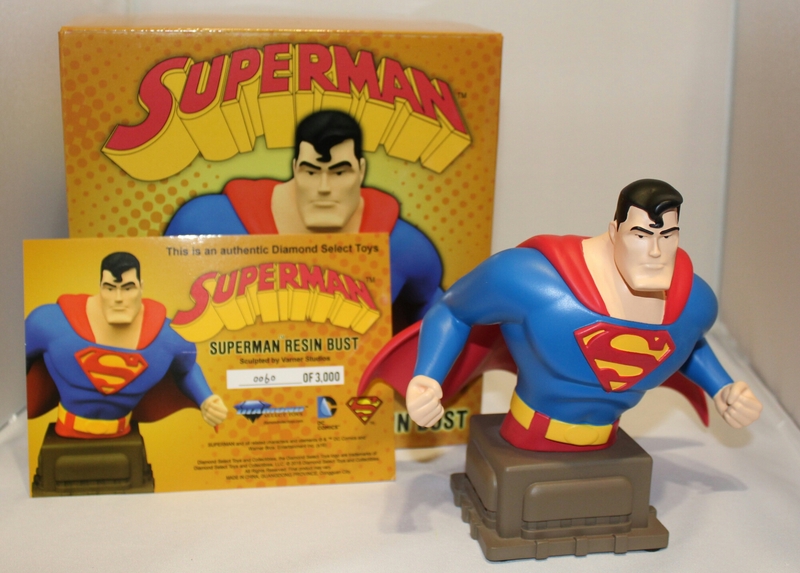 Diamond Select Toys’ Superman resin bust stands at 6″ tall and has some weight to him. Just like the Supergirl resin bust statue that released in March, both kryptonians are featured a top a base bringing to mind the art deco of the animated series – a futuristic city building in Metropolis. 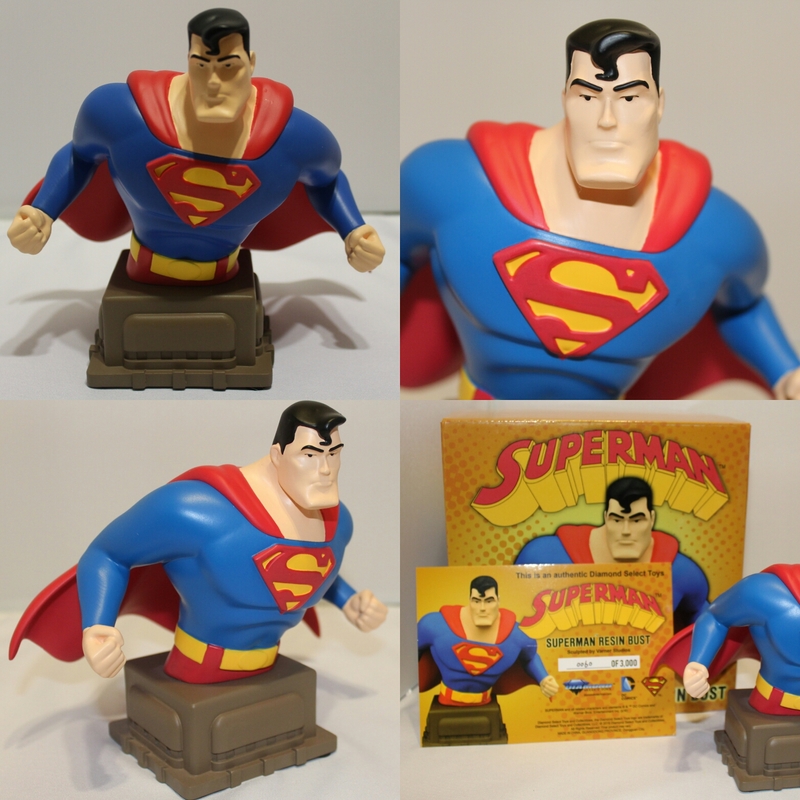 Featuring a sculpt by Varner Studios, the Superman resin bust captures the charm of the animated series and perfectly captures the identifiable art design of Bruce Timm’s Superman. 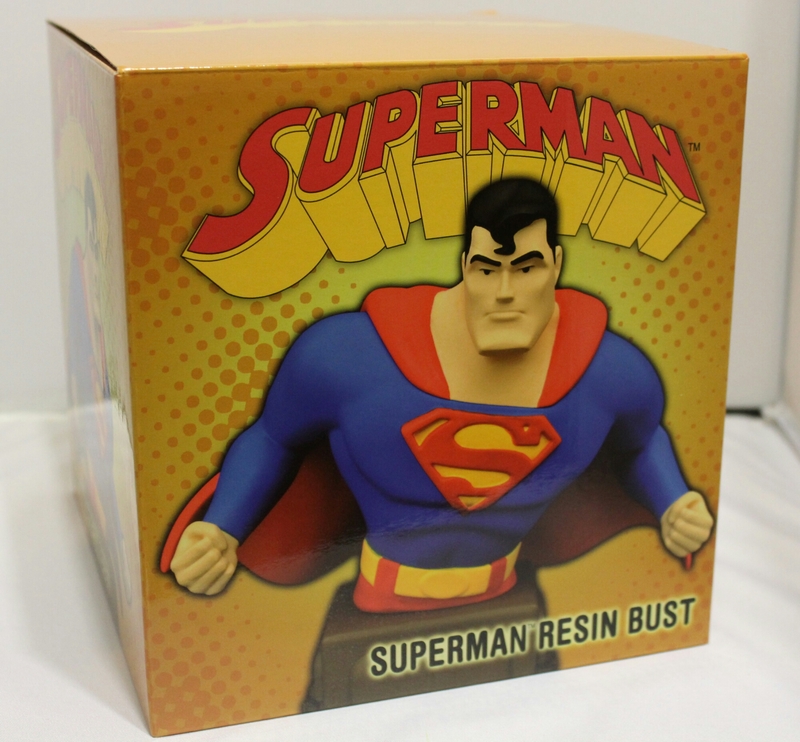 If you liked the animated series, this resin bust is a must have and if you just like Superman, the bust is quite simply so Superman-ish, that you’ll find it difficult to pass him up at your local comic shop next time you’re there.